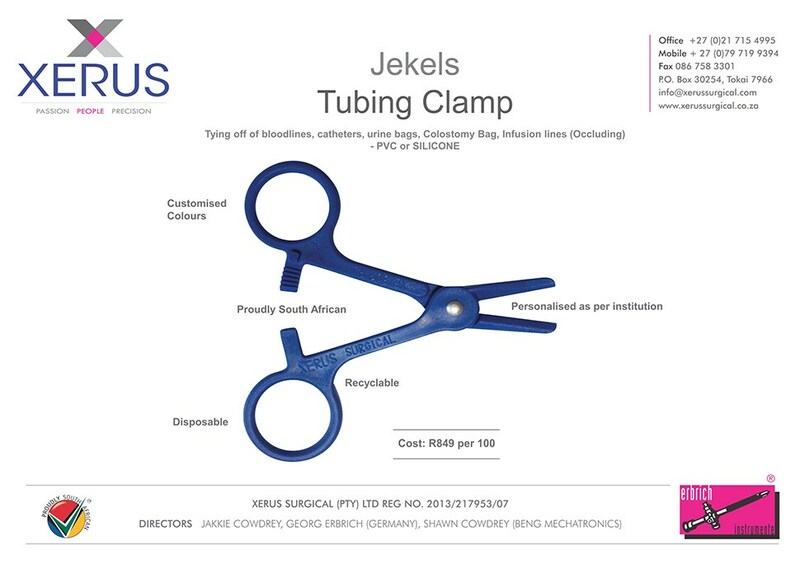 Xerus Surgical (Pty) Ltd was established in November 2013 by Jakkie Cowdrey in partnership with Erbrich Instrumente GmbH. The focus of Xerus Surgical (Pty) Ltd is the supply of Erbrich Surgical Instruments to medical, surgical and veterinary institutions. Erbrich Instrumente GmbH have been manufacturing Human and Veterinary Surgical Instruments since 1964. With their shareholding Erbrich Instrumente GmbH has firmly established themselves as a reliable Surgical Instrument supplier within South Africa and the SADC region, bringing with it the expertise of Mr Georg Erbrich as Director. Erbrich Instrumente GmbH is in constant process of redeveloping and improving their range with products such as the Arthroscopy Range, Left Hand Scissors and Needle holders, Detachable Ferris Smith Kerrison Rongeurs and Retractor System which is interchangeable with the Bookwalter Retractor.